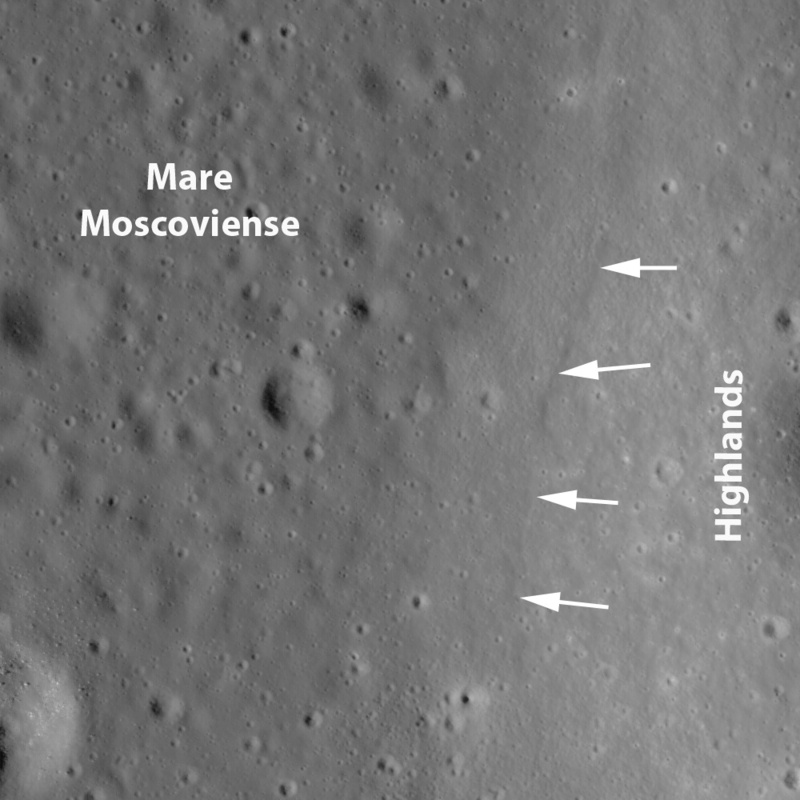 Mare Moscoviense is a one of the many places on the lunar surface that lunar scientists want to visit. The lunar farside is quite different from the nearside; one of the bigger reasons why is that the mare basalt deposits so common on the nearside are few and far between on the farside. 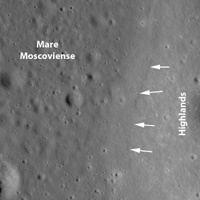 Since basalts form by partial melting of the lunar mantle, sampling Moscoviense basalts would provide lunar scientists with vital insights into how the lunar mantle on the farside differs from the nearside mantle, which in turn would help us to learn why mare basalts are so much rarer on the farside. The white arrows in Figure 1 show the location of a "bathtub ring" indicating the level that the original lavas reached as the Moscoviense basin filled with lava. As time progressed, the erupted lavas gradually drained out of the basin, eventually solidifying at the current lower level.